Can you believe VeganMoFo 2018 is ending today? September has flown by in a blur of delicious food! Thank you very much to everyone who has participated, either by actively posting or reading along, we hope you’ve enjoyed it as much as we have. As a thank you, we have one last giveaway to mark the final day! Sick On Sin is run by a vegan wife/husband team out of Hamilton, Ontario (Canada). They have been making tees, pins, totes, key chains, and other fun flair since 2005. All items feature their cute original designs involving everything from pro veg messaging, animals and food to sci-fi and horror inspired. Something for everyone! Each month 10% of profits are donated to a compassionate organisation. You can check out the goodies here: https://sickonsin.com and follow them @sickonsin (FB & IG). The wonderful people at Sick On Sin have generously offered a $30 gift certificate to be used at Sick On Sin to one lucky VeganMoFo participant anywhere in the world! To enter the giveaway, all you have to do is tell us: what has been your highlight of VeganMoFo2018? It could be a new blogger you’ve discovered (tell us who it is! ), an Instagrammer who always brightens your day, one particular new recipe that you already know will be a game-changers, a daily prompt that you absolutely loved…anything you like! Leave us a comment either here on the blog or over on our Instagram post and tell us your VeganMoFo 2018 highlight. We will choose a winner at random. This giveaway is open internationally, but only to registered VeganMoFo participants. It will close at midnight Pacific Daylight Time. We’re nearly done with VeganMoFo this year – I hope you’ve made, and seen (and bookmarked) some delicious food! But don’t think we’re done with giveaways yet! We’ve teamed up with the Herbivore Clothing Company to send one winner an amazing gift pack with the “Eat Like You Give a Damn! cookbook, a caramel candy bar, and a special sticker and patch pack – a prize worth $40! What’s your favourite product sold by Herbivore? Competition is open to registered VeganMoFo 2018 participants with a US postal address. Closes Midnight PDT. Who here likes marshmallows? Hands up! Yeah, that’s a lot of hands! Well, you’re in luck, as we’ve teamed up with Dandies Marshmallows, the all vegan marshmallow company, to give two winners a coupon for some free marshmallows! To enter this competition, simply tell us what’s your favorite way to eat marshmallows? Competition is open to registered VeganMoFo participants with a US postal address. Closes Midnight PDT. 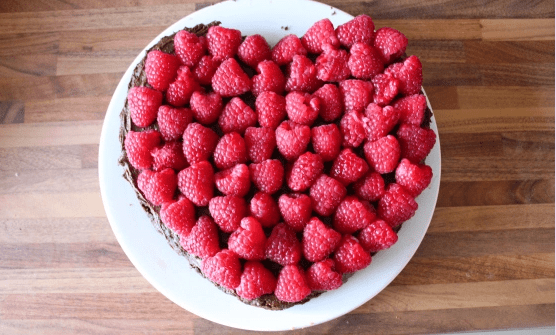 We know all of our dedicated VeganMoFo participants love good food, and what better food is there than chocolate?! With that in mind, we’ve teamed up with the incredible team at Truffle Pig to giveaway one of their most delicious sweet treats! Truffle Pig is an all-vegan chocolatier based in Sheffield in the UK, creating an array of delicious goods. They’ve currently got popping candy chocolate frogs for the Harry Potter fans amongst us, and pumpkin spice truffles for anyone who can’t get enough of the seasonal spices at Starbucks! As someone who has ordered a LOT of treats from Truffle Pig, I can confirm that everything they make is really delicious, and wins over vegans and non-vegans alike. Comment here on the blog or on our Instagram post and let us know which Truffle Pig product is top of your wishlist! (You can view the full range on their shop right here.) A winner will be chosen at random. This giveaway is only open to registered VeganMoFo participants who are resident in the UK, and it will close at midnight BST. Hello everyone! We are into week 3 of VeganMoFo 2018, and it’s time for another giveaway. We’ve teamed up with Hurraw! Balm to give a lucky winner a pack of lip balms. Perfect for the up and coming winter months to keep your lips feeling lovely! If you were to create your own flavor lip balm, what would you make it? Comment your answer here or on our instagram post! This giveaway is open to registered VeganMoFo participants in the USA only. It will close at Midnight Pacific Daylight Time. 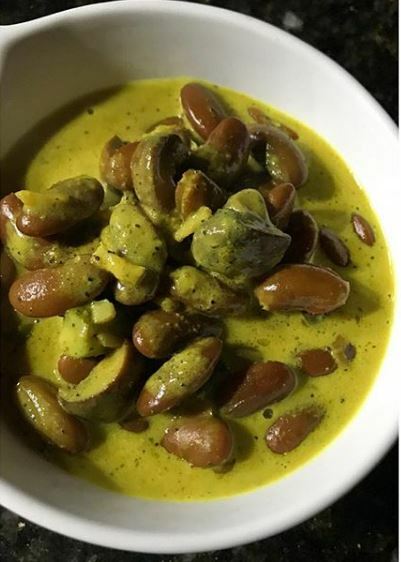 VEGANMOFO 2018: WEEK 2 ROUNDUP! This week was all about catering for dietary and lifestyle restrictions. Whether that be cooking for those with allergies or intolerance, we want everyone to be able to enjoy all of the delicious vegan food they can! Don’t forget to keep using the #veganmofo18 so we don’t miss out on your posts. 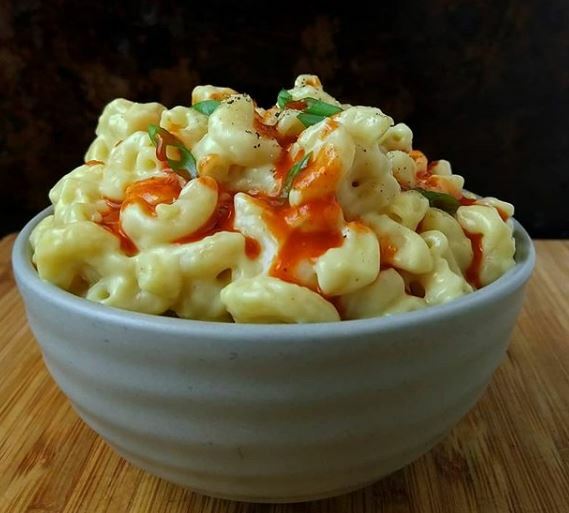 We could not have this prompt and not give you a mac and cheese post, and what a beauty! Although not strictly following the prompts, this butternut hummus fits right in, just grab some crackers or carrot sticks and you’re good to go! Despite the name, coconut is actually not a nut – it’s a fruit! And a favourite of vegans everywhere for making things creamy and delicious, like this Thai Red Curry. 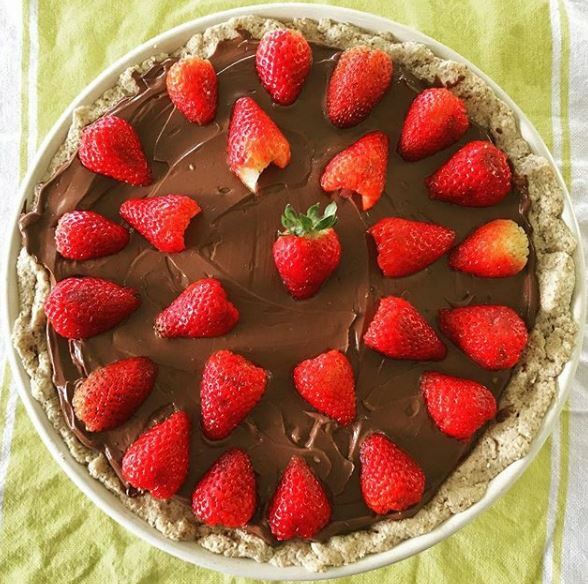 Who needs gluten when you have this amazing Chocolate Cream Pie? 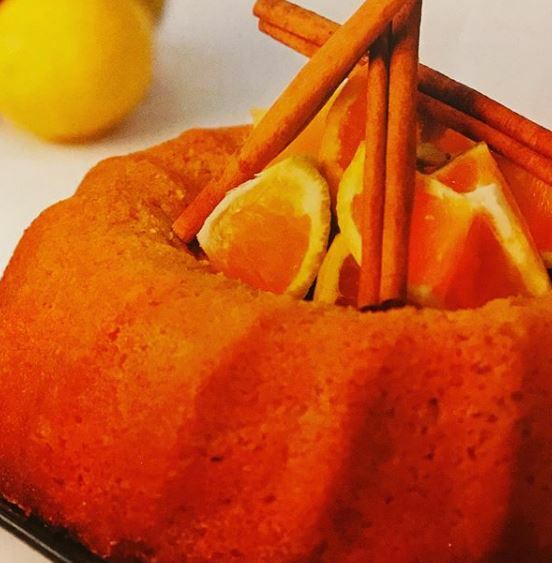 Almond orange cake soaked in spiced syrup, this GF cake is from her cookbook Vegan Indulgence. 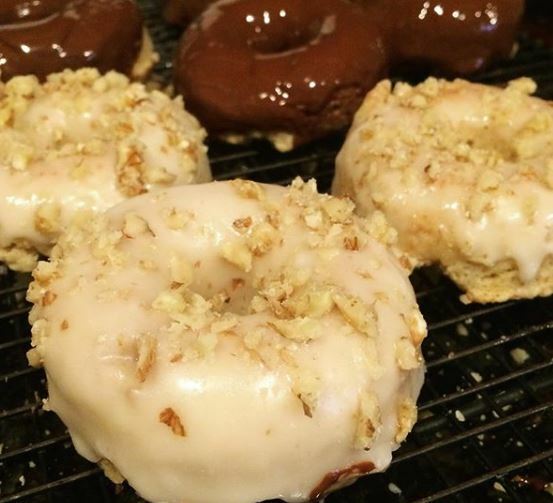 Cindy made us these gluten free donuts, thanks Cindy! Who wants a plate of this sugar-free strawberry and peach crumble? I’ll take two please! 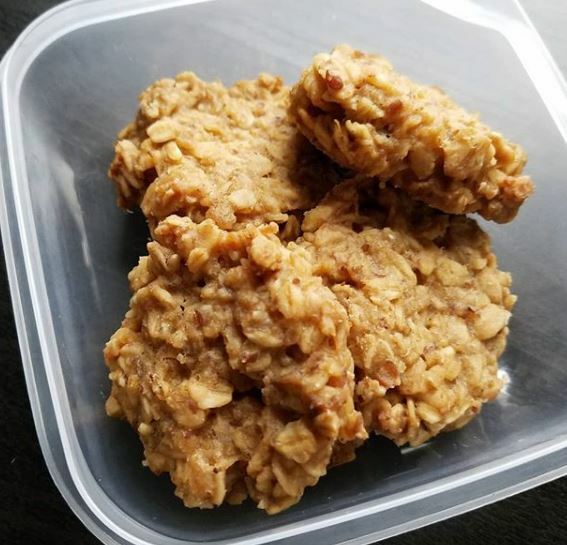 These peanut butter and banana cookies are perfectly sweet on their own without any added sugar. 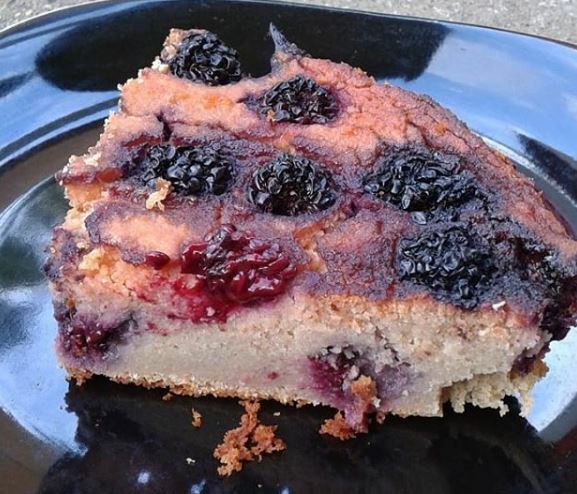 This sweet lentil breakfast cake, sweetened with dates, has me intrigued. 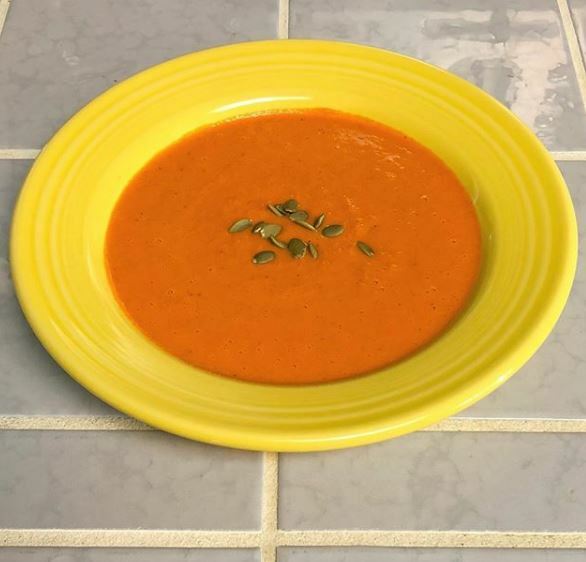 How about some Chai Spiced Raw Carrot soup? This delicious creamy pasta is spiced with horseradish, an interesting choice! This dish is spiced with ginger, black pepper and cumin. Homemade is definitely the way to go if you want to reduce your packaging. Apparently these were supposed to be granola bars but when it looks this tasty who really cares?! 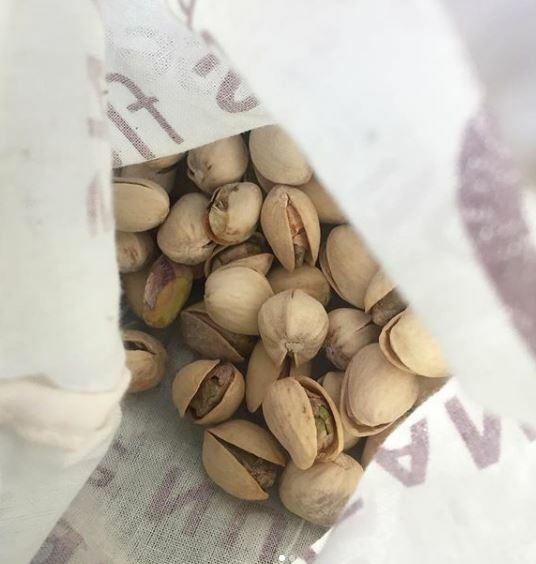 Pistachios are such a great snack, and all natural packaging! A great way of reducing your packaging is to shop at bulk stores, and many of them let you BYO container too. Let’s be honest, how many of us eat nooch straight from the jar as a snack…? Sometimes it is as simple as making the dishes we love without adding salt! 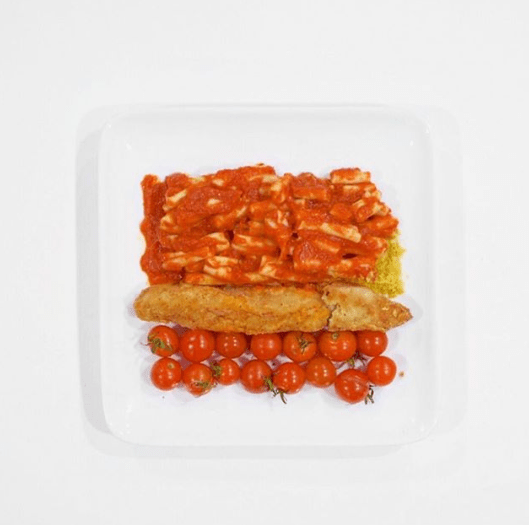 Here is a hearty, low-sodium dinner that looks delicious! 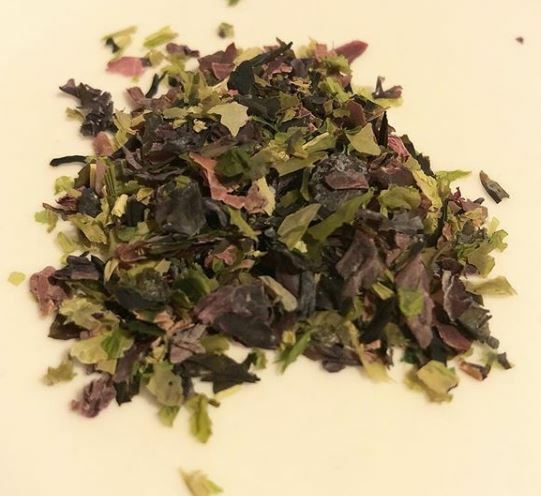 Clare is using seaweed to bring some umami flavour without adding salt. Is it cheating to choose a dessert for low-salt day? 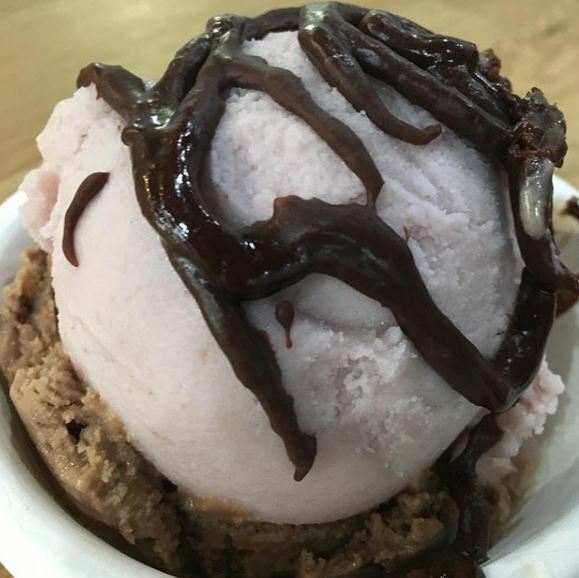 Maybe, but this sunflower seed based ice-cream looks too good not to share. 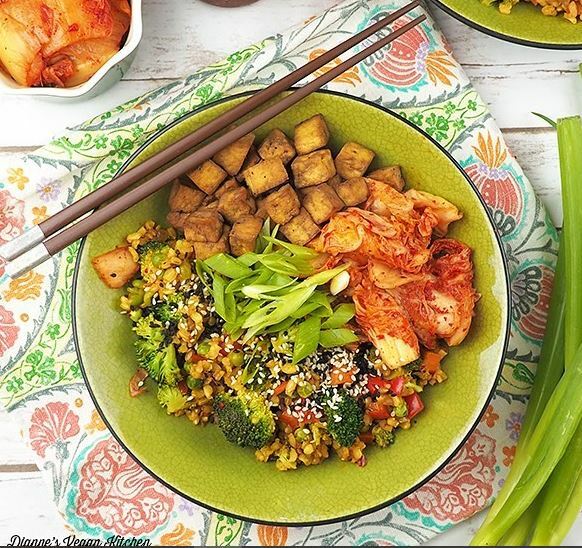 This amazing looking kimchi fried rice is also gout-friendly, clearly dietary restrictions don’t have to mean bland or boring! Just look at this beautiful pot of FODMAP friendly ratatouille, no onion or garlic to be seen! Look, this one is pretty much the antithesis of a “free-from” meal but how could we go past this super looking breakfast featured on Jenny’s blog – the annual guest MoFo post from Dr HH to boot. And we’re over half way there, stay strong MoFo’ers – you’ve got this! 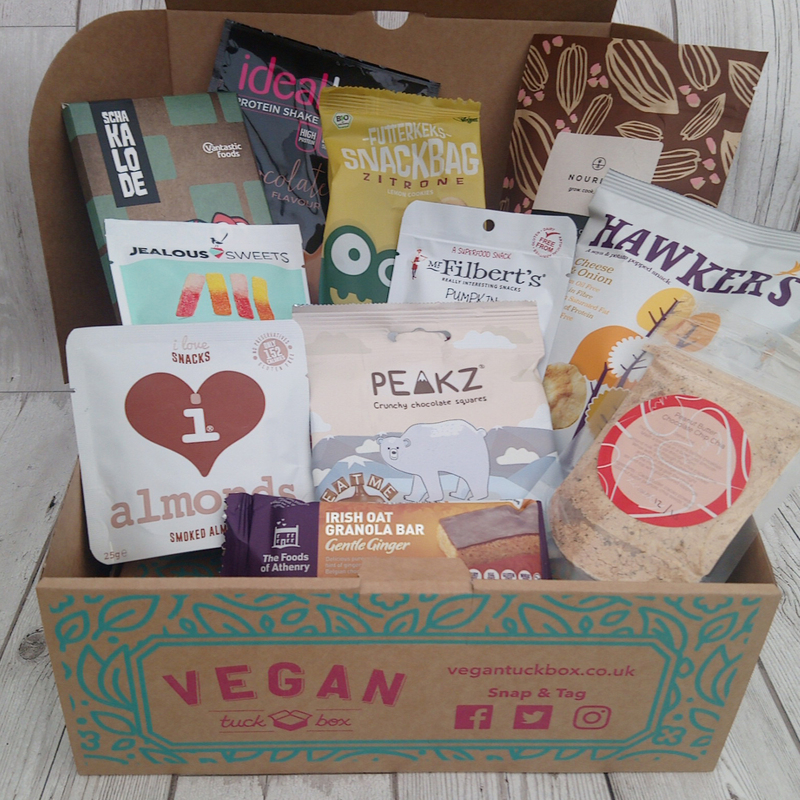 For five years, Vegan Tuck Box has been selling delicious vegan chocolate bars and treats, along with amazing monthly goody boxes. With their Variety Box or Ultimate Box, you can get a mouth-watering selection of mystery vegan goodies delivered to you anywhere in the world. Make sure you are following VeganMoFo on Instagram. Comment on our Instagram post telling us your favourite vegan snack that you’d like delivered to your door. VeganMoFo 2018: Week 1 Roundup! 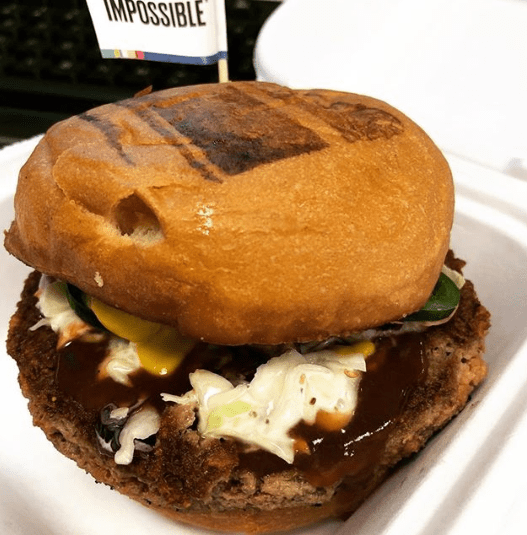 Inspiration Week has come to an end, and it’s safe to say there have been some very inspirational dishes in the first eight days of VeganMoFo 2018! Let’s take a look at some of the highlights in our first weekly roundup post – make sure you’re following all our participants so you don’t miss a single delicious post! And keep using #veganmofo18 to help us find you! Emma is one of our hard working VeganMoFo organisers, so you should probably get to know her! 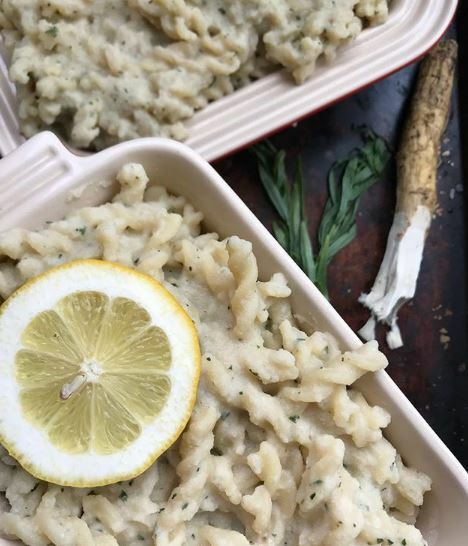 She’s posting on Instagram, as well as numerous delicious recipes on her blog, make sure you’re following along! 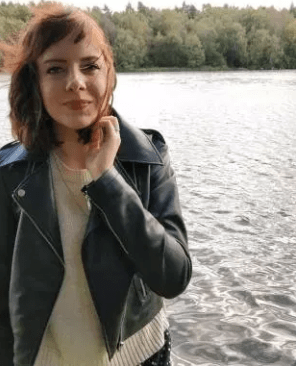 You might have followed Amber on Instagram during last year’s MoFo, but this year she’s back on her blog as well and we couldn’t be happier! Get to know her a little more in this post, and also learn how to make this swimming rama! 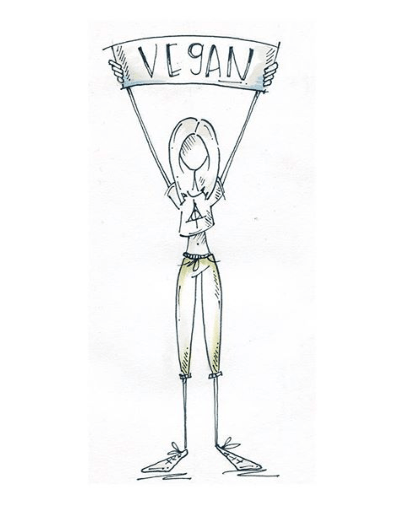 Let’s welcome VeganMoFo first timer Jena, who is participating with lots of amazing illustrations! 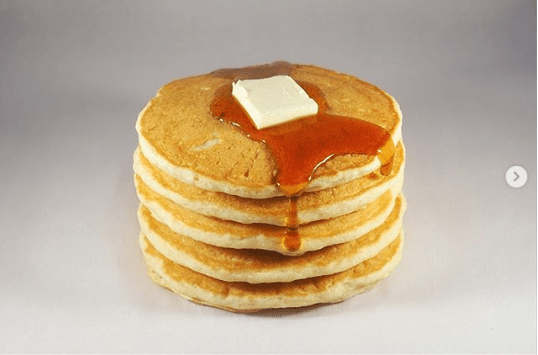 Don’t these pancakes look almost a little too perfect?! How come mine never look that good? Amazing job, Garrick! 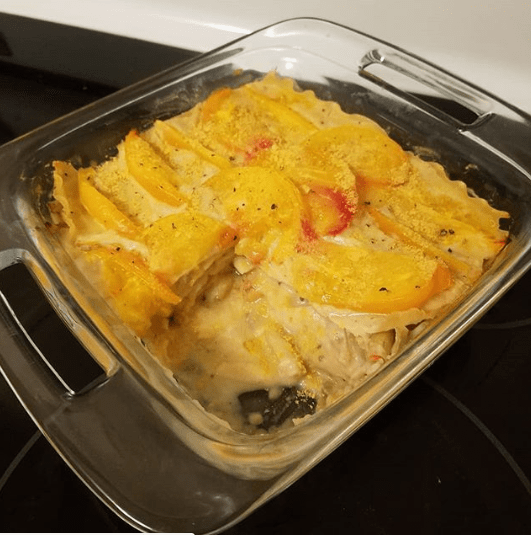 The pumpkin emoji was a popular choice today, and here is Bonnie’s pumpkin-inspired dish. 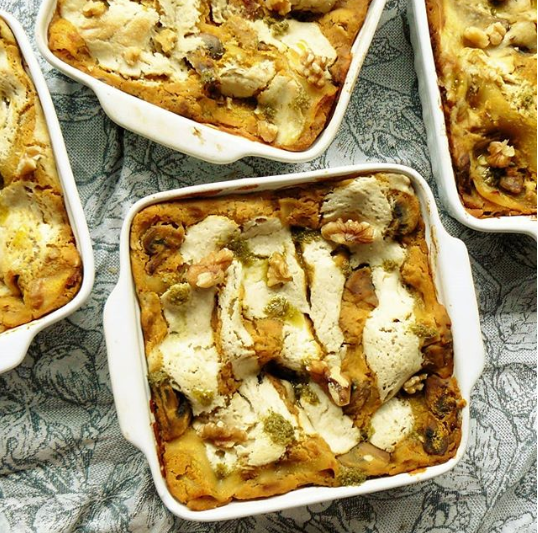 Pumpkin lasagna with mushrooms and caramelised onions sounds pretty good to me! 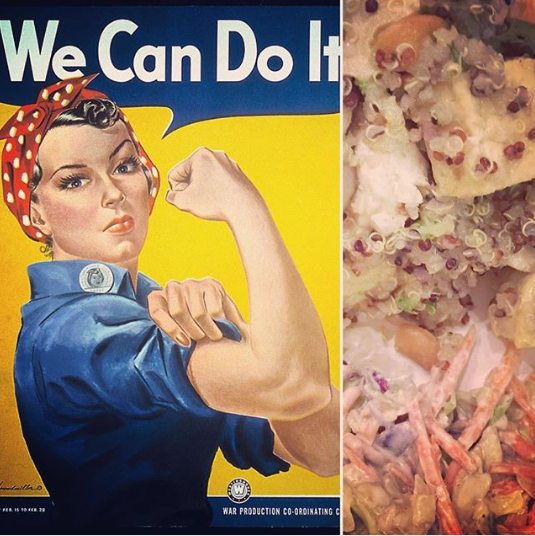 Rosie the Riveter needs a protein packed meal more than anyone! I’m sure she’d be happy with this quinoa, tofu,and broccoli dish. 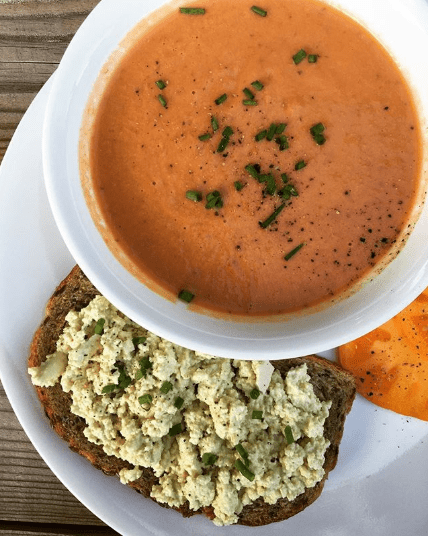 Of course, there are great leaders in our own homes and families too – Moon made this gazpacho and tofu-egg salad in honour of her mother-in-law, and we’d love to join them for a meal! 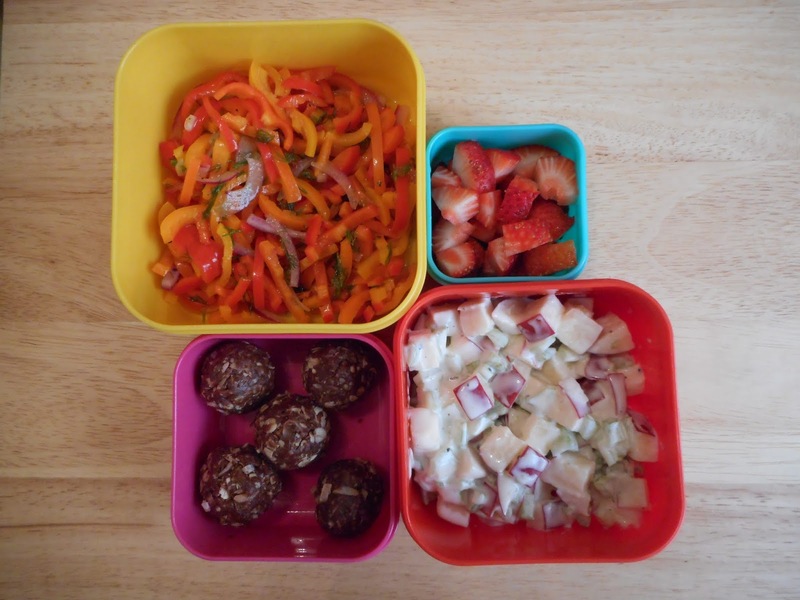 Of course, there’s no obligation to follow our daily prompts or weekly themes – Food for Dissertating is posting about packed lunches all month. 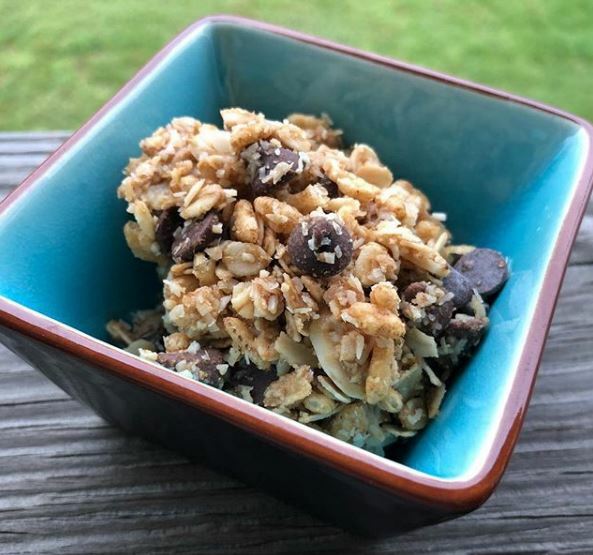 Not only does this look like a delicious lunch, but I can confirm from personal research that the recipe for these chocolate hazelnut oat bites is to die for! 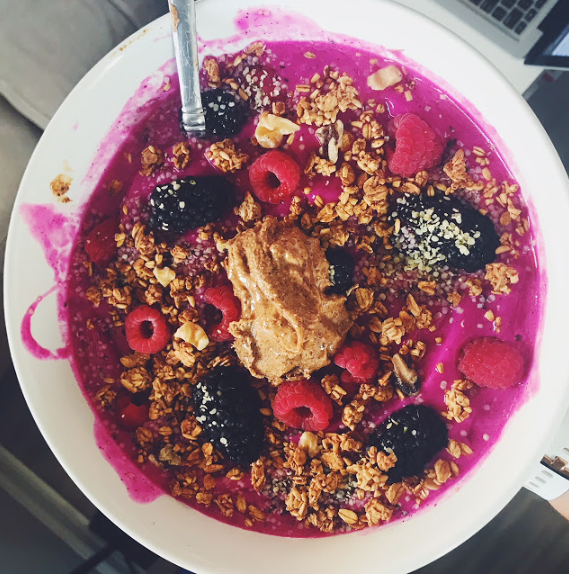 KZ shared this beautiful Pitaya bowl, which definitely looks like a work of art to me! Plus there are some philosophical musings on art and perception. Top marks to Michelle for transforming a bunch of leftovers into a Rothko! 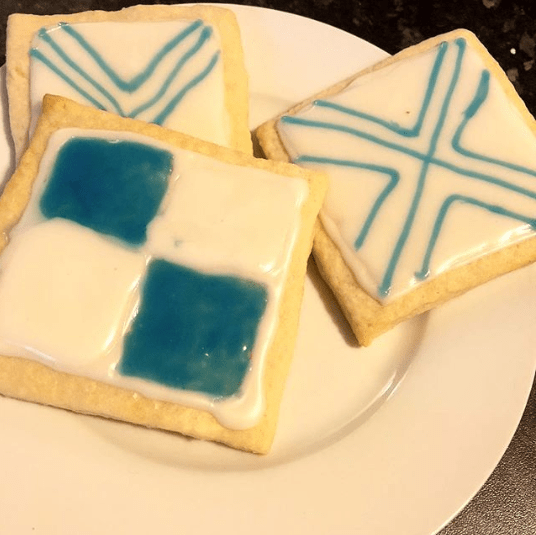 Look at these Mary Blair-inspired cookies that Clare made! There were even diagrams involved! Oh, hello, bookshelf of my dreams! But which one is Kristen’s favourite?! 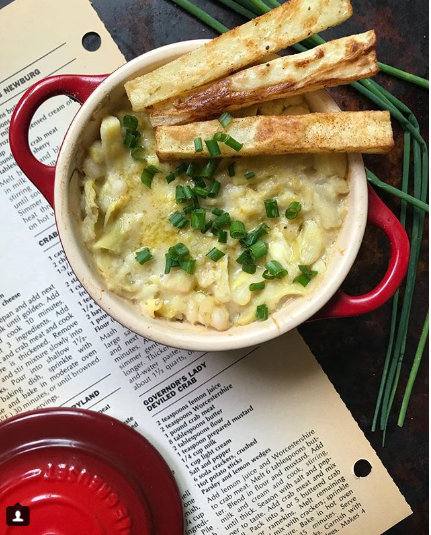 Check out this dish from a 1970s cookbook, originally called ‘Governor’s Lady Deviled Crab’ and now veganised for the modern times! 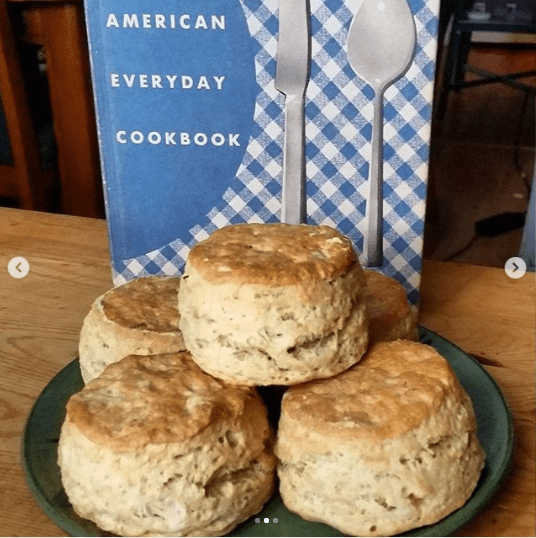 Sarra is posting on the theme of vegan travel, and shared some of the cookbooks she’s picked up on the road – including non-vegan ones, which she promptly veganises, as you can see from her famous bicsuits! Vegans Eat Yummy Food Too! How does Sandy deal with people who claim to hate tofu? She turns tofu into a pizza base! 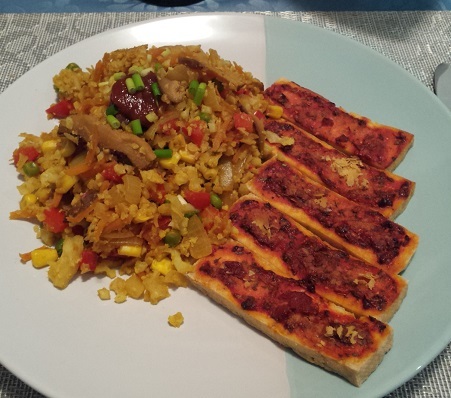 Check out the recipe for these tofu pizza bites! Burgers featured pretty heavily on this day, and here’s just one example of an amazing burger that can win over any meat eater! 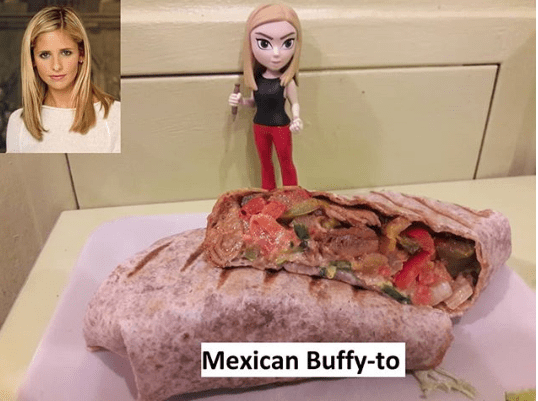 Meanwhile, Vegan Raptor continues to post Buffy-based puns alongside tasty vegan dishes as part of his Buffy Menu theme. I’m sure we can get Buffy to slay the anti-vegan brigade! If you follow Vegan Dollhouse on Instagram or her blog, you’ll expect nothing less than adorable food at all times. 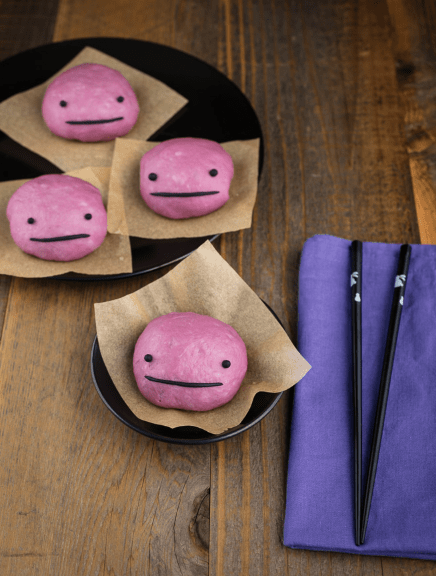 Just check out these purple steamed buns! Have you ever been served a yellow lasagna before?! Learn how to do it on this post from Wister! And why settle for one colour when you can eat the whole rainbow? 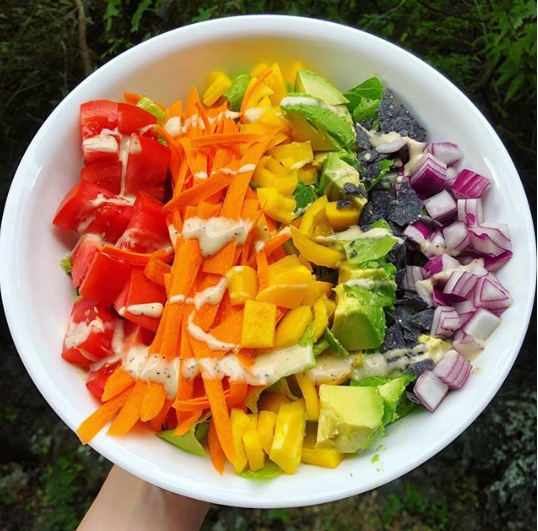 Emily leads the way with this colourful bowl. Most of us have probably experienced a disaster which almost cost us a beloved dish or utensil. 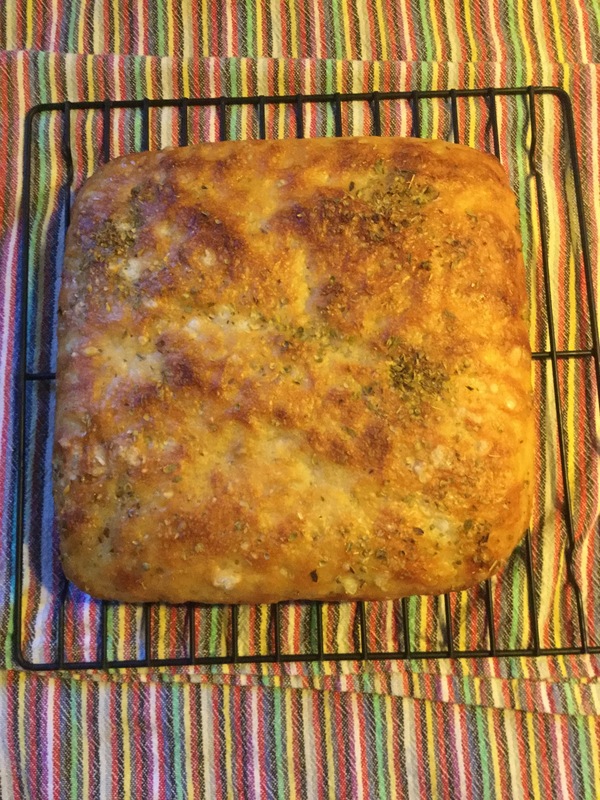 But you’ve got to have the courage to try again, as we can see from this beautiful looking focaccia! Cindy has been thwarted in the past when making crispy fried tofu, but now she’s really shown it who’s boss! 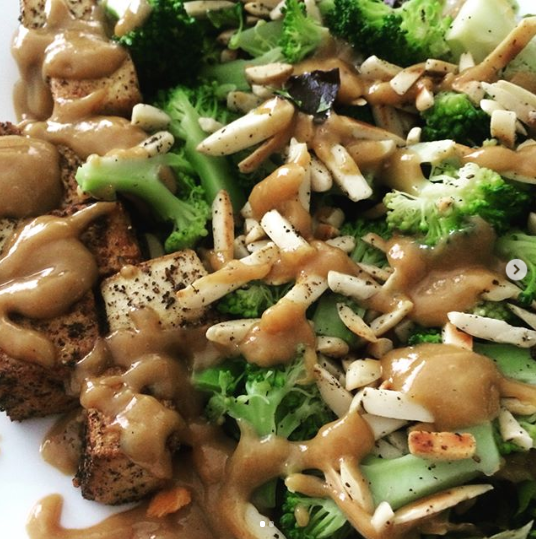 Find out her secrets, and get the recipe for her BBQ nut butter sauce as an added bonus! 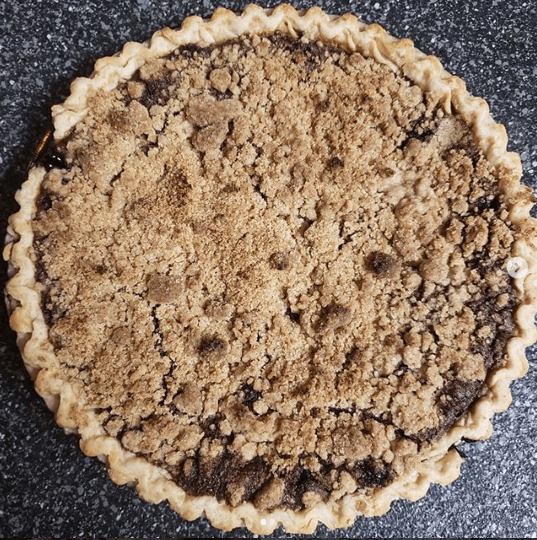 All this week, Angie has been veganising some classic Pennsylvania Dutch recipes, and she finished up with this shoofly pie, which apparently tastes just like gingerbread! Yum! Here’s to another amazing week of VeganMoFo 2018! This giveaway has now closed. Congratulations to the winner! Day 5 of VeganMoFo is all about inspirational cookbooks, which makes it a perfect time for a giveaway! 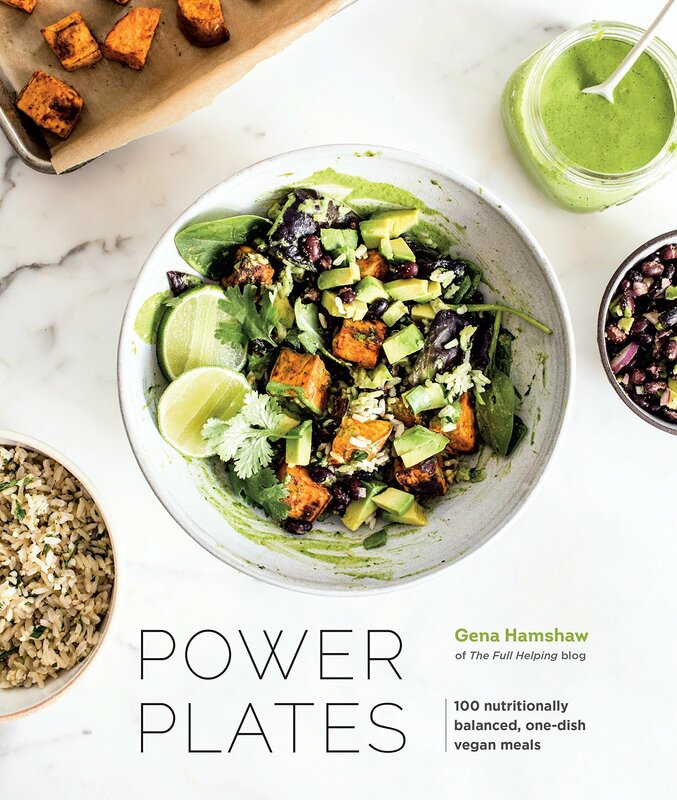 Power Plates by Gena Hamshaw is packed full of delicious meals, from smoky red lentil stew with chard, to falafel bowls with freekah and cauliflower. In fact, one of our VeganMoFo’ers wrote a full review just the other day – check it out over at Kittens Gone Lentil! 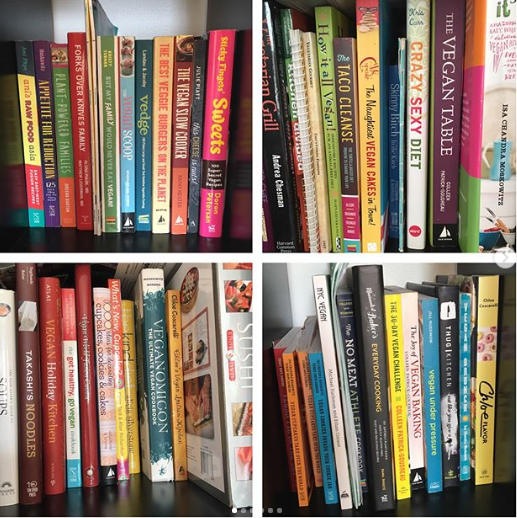 Comment on our Instagram post telling us which cookbook most inspires you! This giveaway is only open to registered VeganMoFo participants. It is open to participants anywhere in the world, and will close at midnight Pacific Daylight Time.